Since the beginnings of Planet Lingua, we have been working with a great number of companies that have started their internationalisation process a long time ago already or have just launched it. Crossing borders, be they national or international, is a heavily-weighted decision that has to be reinforced with good communication. You must take into account that this communication will be your business card for the new market. Therefore, we encourage our companies to have their websites, corporate presentations, communiqués, business documentation and press releases, among others, in the language of the country where they are going to setup their business. This is the easiest way to make oneself known and be accepted as just one more. 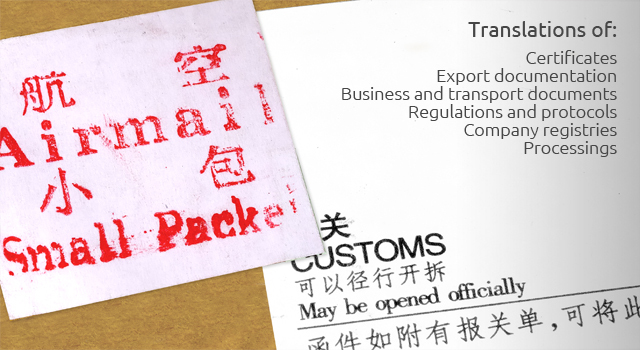 These companies need as well many translations related to their exports and foreign trade operations. Our vast experience in this field makes us knowledgeable of the high accuracy and technicality needed to be able to carry out this type of business translations with the precision and quality they require.